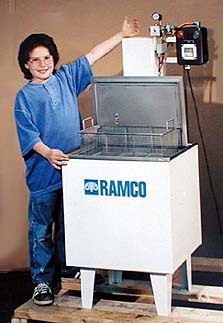 Ramco has designed and built a number of small cell washers and washing systems dedicated to one piece flow manufacturing. These units are MK Series parts washers. 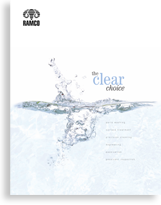 Some systems have been made with dual zones for immersion (agitation, turbulation, ultrasonic, spray) washing combinations and/or immersion washing and compressed air blow-off drying. All of the systems are manufactured for a very compact footprint. 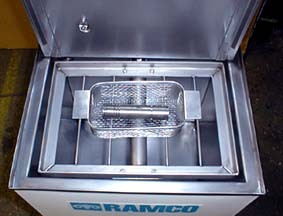 The above photo is a typical example of a compact simple immersion washer to handle a small basket. The system includes all stainless steel interior construction, thermostatically controlled heating system and a digital cycle timer to automatically control the elevator positioning and oscillating washing cycle using Ramco’s patented Floating Cylinder.